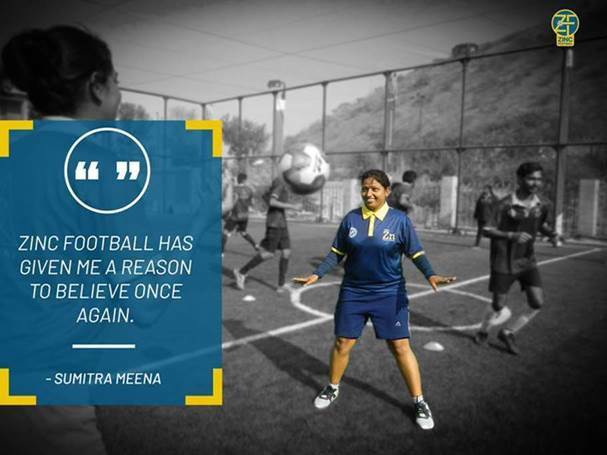 Udaipur: A primary school teacher, hockey player, a marriage gone wrong, a crestfallen mother and now an AIFF D-Licensed football coach with Zinc Football, 28-year-old Sumitra Meena has lived all the ups and downs of a lifetime in just a span of few years. As with many girls in the rural areas, Sumitra got married as early as at 17, only to find after a couple of months that her husband is an alcoholic addict. She let go of her studies to look for a job as her husband’s earnings were mostly splurged on liquor. After some struggle, she got an opportunity to join a private kindergarten as a teacher. Three years on, Sumitra was blessed with a baby boy. However, fate dealt her the cruellest of hands, when one day out of the blue, her son who had just turned 7 fell ill. It appeared to be viral fever, but he never recovered. Wiping her tears, she said that she got separated from her husband that year itself. Sumitra realised she needs to look for a better job to support her mother who was still working as a maid. Zawar is well-known for its football craze and Sumitra being a native of the region was no different. 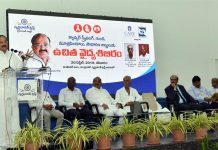 During her childhood, she along with her sister was among the hundreds who would walk a few kilometres hand-in-hand to watch the celebrated Mohan Kumar Mangalam Tournament held every year at Zawar Stadium. This time she wanted to follow her dream of becoming a football coach, which would also help her stay connected with children. She applied for the AIFF D-License Coaching Course in 2018 and displaying immense strength of character, passed the examination. Sumitra is now a football coach in Zinc Football Schools. While her mother now cooks only at home, Sumitra is mostly engaged with footballers under the age of 14 years at Pratahpura and Chanawada Zinc Football Schools in the Zawar Epicentre. She has recently registered for her incomplete Bachelors Degree and now, she is focussed on enjoying the bright side of life. 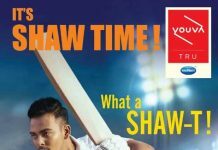 “Field jane ka time ho gaya hain. Bacche aate hi honge. Mein chalti hoon”, she smiled and took off.